Adrenomed AG is a privately-financed, clinical-stage biopharmaceutical company with a clear mission: to rescue vascular integrity in order to save the lives of critically ill patients with limited treatment options. The Company’s lead product candidate is Adrecizumab, a clinical-stage, first-in-class monoclonal antibody. Adrecizumab targets the vasoprotective peptide Adrenomedullin, an essential regulator of vascular integrity to treat life-threatening conditions associated with increased vascular leakage, congestion and shock. Our unique treatment approach combines the therapeutic antibody with a specific diagnostic, which uses Adrenomedullin as the biomarker to identify patients. The most important target indications are sepsis and septic shock as well as acute heart failure. Adrenomed’s business is effectively secured by a strong IP position with granted patents in all major markets. Adrenomed is based in Hennigsdorf near Berlin, Germany. Adrenomed was established in 2009 after the successful trade sale of the B·R·A·H·M·S AG to Thermo Fisher. The co-founders and executive managers of the B·R·A·H·M·S AG were Dr. Andreas Bergmann, who serves today as CSO of Adrenomed; also Dr. Bernd Wegener and Dr. Metod Miklus, who today are members of Adrenomed’s Supervisory Board. At B·R·A·H·M·S AG they changed the standard of care in sepsis by developing Procalcitonin (B·R·A·H·M·S PCTTM), the diagnostic gold standard sepsis biomarker. Adrenomed’s vision is to translate the concept of personalized medicine into acute care. 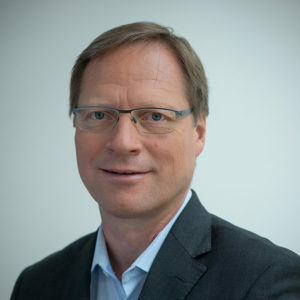 Consequently, Andreas Bergmann, in his dual role as CSO of Adrenomed and CEO of sphingotec GmbH, connects the diagnosis of acute medical conditions, for example sepsis and acute heart failure, with the therapeutic approaches developed by Adrenomed. The extensive in-depth work in sepsis, diagnostics and drug development led to well-established contacts with key opinion leaders worldwide in cardiovascular disease and sepsis that support Adrenomed’s clinical research. Dr. Gerald Moeller, Chief Executive Officer (CEO) of Adrenomed since 2018, has a long-standing track record in the diagnostics and pharmaceutical industry, in venture capital and in capital markets. 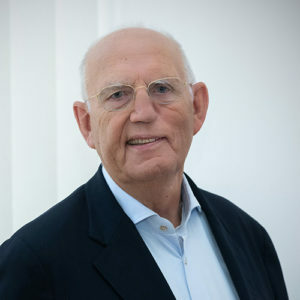 He served as CEO at Boehringer Mannheim and member of the Executive Committee of Roche, chairman in the MorphoSys supervisory board and as an Investment Advisor to HBM Partners, Switzerland. 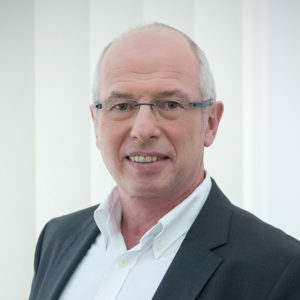 Dr. Andreas Bergmann, co-founder and Chief Scientific Officer (CSO) of Adrenomed and CEO of sphingotec GmbH, has deep knowledge and experience with the disease biology and diagnosis of sepsis. As inventor of more than 100 patents and co-founder & former executive manager of B·R·A·H·M·S AG, he helped to change the standard of care in sepsis by developing Procalcitonin, the diagnostic gold standard sepsis biomarker. 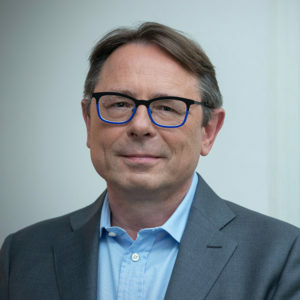 Dr. Jens Zimmermann, Chief Medical Officer (CMO), has served as a member of the management team for Adrenomed since 2017. By training, Dr. Zimmerman is physician and biochemist and an experienced clinical operations and medical affairs executive. He participated in the development and US/EMA approval of icatibant in Hereditary Angioedema (HAE) and pirfenidone in Idiopathic Pulmonary Fibrosis (IPF). Dr. Zimmerman is former Medical Director at Vanda Pharmaceuticals, and he also held senior medical positions at Roche, InterMune, Pfizer, Shire, Jerini and Berlin-Chemie. Dr. Frauke Hein, co-founder and long-standing member of the Adrenomed management team, serves as Chief Business Officer (CBO). Previously, Dr. Hein held the position as Director R&D at B·R·A·H·M·S AG and Thermo Fisher, where she was responsible for strategic planning, R&D alliance and portfolio management. 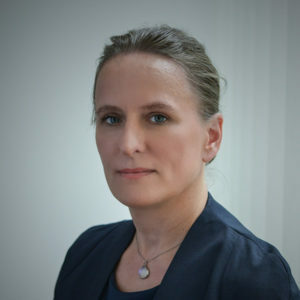 She is former Director Life Sciences ZAB, responsible for start-up financing and R&D grant evaluation in Berlin-Brandenburg. Dr. Joachim Struck is co-founder of Adrenomed and serves as Head of R&D since 2013. Before joining Adrenomed, he started his industrial career in 1991 at Henning Berlin GmbH (later B·R·A·H·M·S AG and Thermo Fisher Scientific). There, he developed several immunoassays and was responsible for discovery and clinical profiling of novel biomarkers as well as IP development. He is co-inventor of more than 50 patent families and is co-author of more than 150 peer-reviewed scientific publications. Since recently, he also acts as VP Medical Affairs at sphingotec GmbH. Adrenomed is dedicated to save the lives of critically ill patients by translating the concept of personalized medicine to acute care. We are targeting Adrenomedullin, a peptide hormone with protective effects on endothelial barrier integrity. With a biomarker-drug combination utilizing the target as biomarker for patient stratification, Adrenomed develops a unique, holistic approach to rescue vascular integrity in life-threatening conditions such as sepsis, septic shock and acute heart failure. The Company’s lead product candidate is Adrecizumab, a clinical-stage, first-in-class drug targeting loss of vascular integrity. 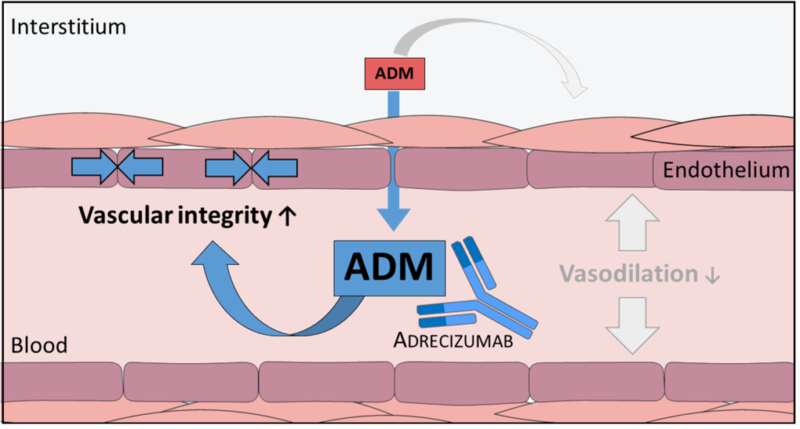 The strong rationale for Adrecizumab is supported by the elegance of its mode of action, a monoclonal antibody that on binding to its target Adrenomedullin preserves its functionality as regulator of vascular integrity. Adrecizumab targets Adrenomedullin, a vasoprotective peptide hormone, freely diffusing between the blood and tissue compartment (interstitium). Compartment-dependent Adrenomedullin has different functions. In the circulation (blood), it stabilizes the vascular endothelial barrier by directly tightening the gaps between endothelial cells, subsequently preventing vascular leakage. In the interstitium, Adrenomedullin has vasodilatory effects affecting blood pressure. The binding of the monoclonal antibody Adrecizumab to Adrenomedullin in the blood stabilizes the molecule and translocates it from the interstitium to the circulation resulting in increasing Adrenomedullin concentrations within the circulation. The complex of Adrecizumab and Adrenomedullin is still functional, thus Adrenomedullin can still act on the endothelium. Consequently, Adrecizumab treatment directly boosts Adrenomedullin’s protective effects on the endothelial barrier. For further information on the mode of action of Adrecizumab see title story and editorial in the peer-reviewed journal SHOCK (Shock, 2018). Suitability of using Adrecizumab to treat loss of vascular integrity is based on evidence obtained in multiple preclinical intensive care-like vascular integrity models with Adrecizumab applied on top of mimicked human standard of care treatment (e.g. fluids, vasopressors). Adrecizumab treatment significantly improved all clinically relevant endpoints such as reduction of vascular leakage and vasopressor demand, stabilization of the circulation, normalization of fluid balance and kidney function. In preclinical septic shock models, Adrecizumab reduced the mortality by 50% (Intens Care Med Exp, 2013; Intens Care Med, 2013; Shock, 2018). Furthermore, Adrenomedullin was validated as therapeutic target and biomarker in thousands of well-defined patients’ samples in collaboration with the sphingotec GmbH. 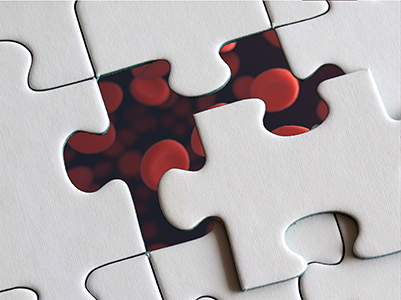 The recently marketed Adrenomedullin assay (sphingotest® bio-ADM®) allows the identification of patients suffering from loss of vascular integrity and will enable physicians to specifically treat these people by using Adrecizumab. Adrecizumab is currently under clinical evaluation in the AdrenOSS-2 trail, a biomarker-guided, double-blind, placebo-controlled, randomized, multicenter proof-of-concept Phase II trial in 300 septic shock patients. Excellent safety and tolerability were demonstrated in two Phase I trials. The biomarker-guided, randomized, double-blind, placebo-controlled proof-of-concept and dose-finding trial AdrenOSS-2 will assess the safety, tolerability and efficacy of Adrecizumab in 300 patients with early septic shock and elevated blood levels of the vasoprotective peptide Adrenomedullin. The primary endpoint is safety and tolerability of Adrecizumab over a 90-day period. A key secondary endpoint is the Sepsis Severity Index (SSI) defined as days with organ support or death within 14 days. The AdrenOSS-2 trial started in December 2017 and is currently ongoing in up to 30 sites throughout Germany, Belgium, France and the Netherlands. The Phase II trial design was recently published (BMJ Open 2019). The randomized, double-blind, placebo-controlled Phase Ia and Ib studies included a total of forty-eight healthy volunteers to evaluate escalating doses of Adrecizumab. Adrecizumab demonstrated an excellent safety profile in both studies. Additionally, the Phase Ib study in systemic inflammation indicated dose-dependent beneficial effects of Adrecizumab on vascular integrity without affecting inflammatory parameters. Results of the Phase Ia/b trials were published in the British Journal of Clinical Pharmacology (Br J Clin Pharmacol, 2018). Geven et al. Shock, 2018;50(2):132-40 “Vascular Effects of Adrenomedullin and the Anti-Adrenomedullin Antibody Adrecizumab in Sepsis”. Regulation of vascular integrity is a fundamental process for human physiology and pathology. The vascular endothelium is the essential organ for the function of blood vessels in the human body. It is a cell monolayer that forms an essential and selective barrier between the blood vessels and the tissue compartment. The vascular endothelium actively maintains more than 60,000 miles of blood vessels. Conditions that are most threatening to life, such as sepsis and acute heart failure, are driven by severe impairment of the vascular endothelial barrier presenting in porous, leaky blood vessels and resulting in tissue congestion and edema. Ultimately, the rapid fall in blood pressure and diminished oxygen supply to organs leads to multiple organ failure and death. Since its discovery in 1993, the vasoprotective hormone Adrenomedullin has attracted a great deal of interest as a multifunctional regulator of the vascular system. Adrenomedullin is a free-circulating peptide that is mainly expressed and secreted by vascular endothelial cells and is known for its vasodilatory activity in the interstitium resulting in decreased blood pressure (Shock, 2018). In the circulation, Adrenomedullin directly tightens the gaps between endothelial cells, subsequently preventing vascular leakage. Adrenomedullin (bio-ADM®) was validated as therapeutic target and biomarker in an analysis of over 16,500 well-defined patients’ samples in collaboration with the diagnostics company sphingotec GmbH. Rising bio-ADM® values in patients’ blood samples clearly indicate a worsening of vascular integrity independent from inflammation or any other comorbidity, allowing the inclusion of all critical ill patients. Sepsis is a life-threatening condition that results in organ dysfunction caused by a dysregulated host response to infection. It is driven by severe loss of vascular integrity, presenting in impaired and leaky blood vessels and resulting in congestion and edema. Septic shock is the most severe form of sepsis characterized by a rapid fall in blood pressure requiring vasopressor treatment, and diminished oxygen supply to organs leading to profound circulatory, cellular and metabolic abnormalities and finally multiple organ failure. Today, sepsis and septic shock are major healthcare problems, affecting millions of people around the world every year and killing as many as one in four. In the United States, sepsis causes or contributes to between one-third and one-half of all deaths occurring in hospitals. Currently, the incidence rate is increasing and the mortality rate still remains high at about 30%. Once the patient develops septic shock, due to loss of vascular integrity, the mortality rate rises to 50-80%. The current standard of care in sepsis patients is limited to early treatment with antibiotics and administration of fluids and vasopressors (hemodynamic support). Published in the January 2019 edition of MedNous, a publication of Evernow Publishing Ltd.